We got a return of Kate McKinnon's Laura Ingraham. 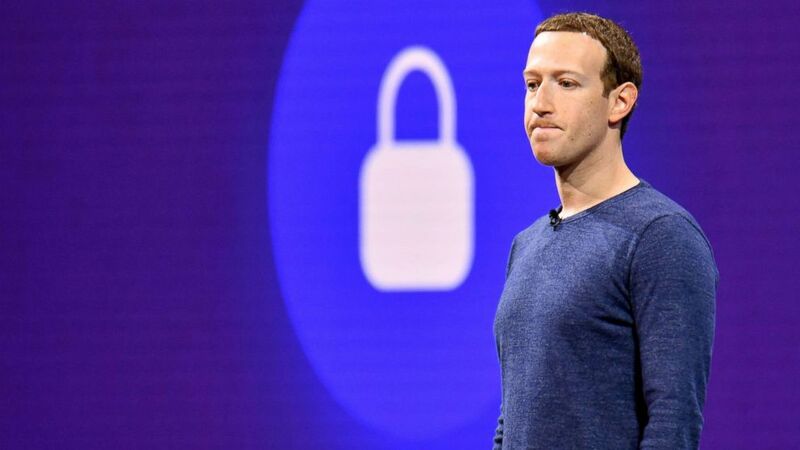 camera (File-AFP/Getty Images) File photo from May 1, 2018 pf Facebook CEO Mark Zuckerberg speaking during the annual F8 summit at the San Jose McEnery Convention Center in San Jose, Calif. The last "Saturday Night Live" episode before Thanksgiving saw a return of Kate McKinnon's Laura Ingraham -- and a number of targets to be mocked: Jeanine Pirro, Nancy Pelosi and Mark Zuckerberg. First, Ingraham's doppleganger opened with her "facts," including "Hispanics all voted twice" and "Latinos can have babies every three months." She then tossed to Pirro, again played by Cecily Strong, who responded: "I hate them, Laura." "Oh, sorry, that's my vocal warmup," Pirro responded. The attacks turned to Zuckerberg as Facebook came under fire this week for reportedly hiring a PR firm to plant negative stories about Facebook critics. "Hey Laura, it's great to be here, smile, 1, 2," a very robotic Zuckerberg, played by cast member Alex Moffat, responded. "I can't be any more transparent," he followed up. "Have you seen my skin?" Rep. Marcia Fudge, played by the versatile Leslie Jones, came on to discuss a possible overthrow of Pelosi as House Speaker. "I love Nancy Pelosi, but her baby sister is a redwood tree," she said. "She just calls the Old Testament, the testament." The biggest criticism was reserved for Ingraham herself, though, who sprinkled in ads for the few companies who hadn't abandoned her -- including a personal-sized turkey ("Have you alienated everyone in your family? Then have your very own Teeny Tiny Turkey."). "If I was there in person, I would knock the fudge out of you," Jones told Strong. The episode was hosted by Steve Carrell, marking his third time on the show, and featured musical guest Ella Mai. Jenna Fischer, Ed Helms and Ellie Kemper all appeared during Carrell's monologue, calling for an "Office" reboot.